The Indian Institute of Technology (BHU) Varanasi and Amazon Internet Services Private Limited (AISPL) signed a memorandum of understanding this week to develop cloud-ready job skills by providing access to the AWS Educate program. The key reason for this venture is to establish a Cloud Research Lab on artificial intelligence and machine learning. According to a statement put out by the Press Information Bureau, Government of India and the Ministry of Human Resource Development, the Cloud Research Lab will provide students with opportunities to use AWS Cloud technology to pursue research initiatives that focus on AI and ML innovation for India. 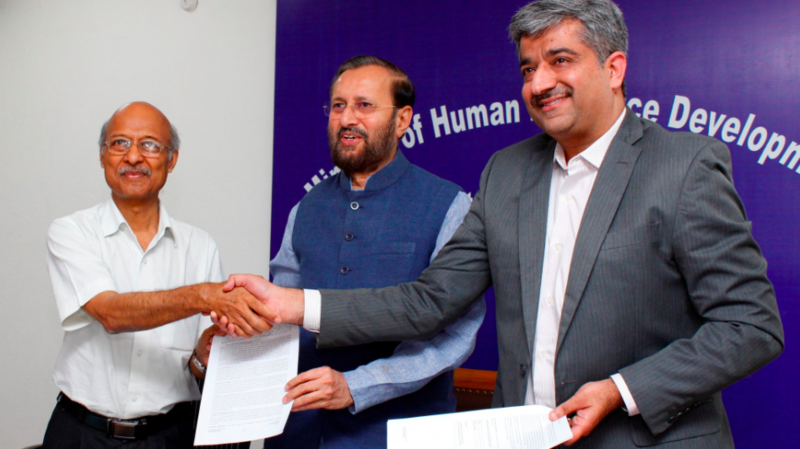 The MoU was signed in the presence of Union Human Resources Development Minister Prakash Javadekar in New Delhi. Speaking at the occasion, Javadekar said that Amazon joining hands with IIT-BHU for giving essential free services in cloud computing, datasets and other new technologies was an important occasion. He added that this would empower the students and faculty to do better and focused research. Javadekar added that Prime Minister Narendra Modi has always been pushing hard for new research and innovation efforts. According to the MoU, IIT-BHU gains access to the resources in AWS Educate program and curriculum designed for higher education institutions to incorporate in their courses. This collaboration will also help accelerate cloud-related technical expertise for students and boost their readiness as they prepare to undertake the industry-recognised certification. AWS Educate is a global program that provides a robust set of learning content, resources, and AWS Promotional Credits for students and educators to gain hands-on experience with AWS Cloud services. Students and educators gain access to instructor-led classes, on-demand training, self-paced labs, as well as ongoing technical assistance and support.